Getting a perfect fit between your company and software systems often requires application development or custom solutions. With trained accountants as well as technical developers on staff, we know how to program and design reports, forms, and even the most complex system integrations. We are open to pursuing a wide range of development projects from simple reports and form customizations to complex system integrations. 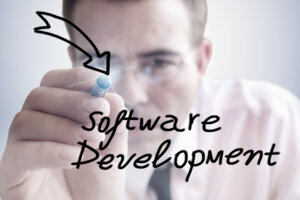 As a Sage Master Developer, Emerald TC develops custom and vertical solutions for specific needs. Whether you are looking to obtain more advanced reporting functionality or integrate your system to existing software solutions, we are here to help. Click here to read about how Emerald TC developed the perfect system for businesses just like you. Jim Gilbride, Vice President, Buckeye Distributing, Inc.